The wildlife Paparazzi at Grand Teton and Yellowstone National Parks can get out of hand at times. 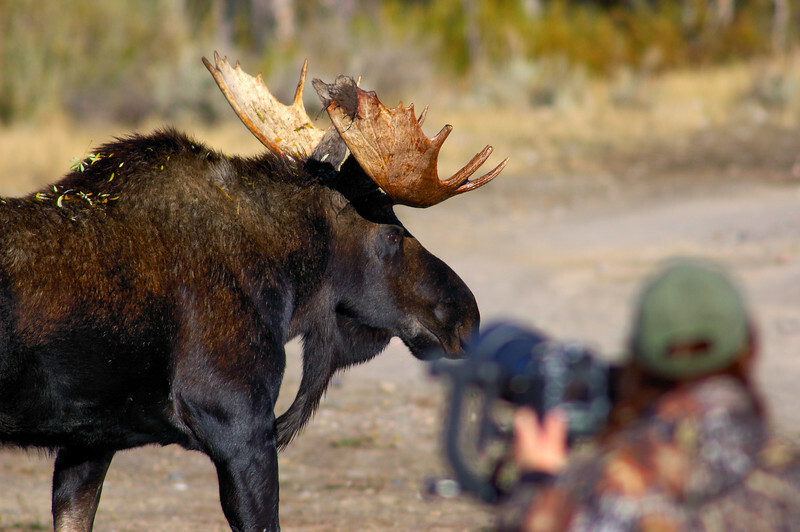 This gal was incredibly close to the moose but had this huge lens on a gimbal and is hand-holding the monstrosity. There were a number of us quite a bit further back taking bets on if she would get trampled by the moose. An adult male can weigh 1,200 to 1,600 pounds and stand over seven feet tall, not something you want to kicked by. Please join me in trying to respect the wildlife we photograph and give it room to breath!